The Griffins conclude their 2018 basketball season, bidding farewell to sophomore players and finishing strong. 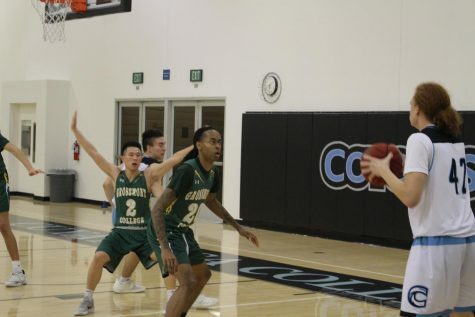 The Griffins growled the last roar as they played the final game of the the 2018-2019 season Feb. 22, grasping a clutching victory in a re-match over the district-conference rival Coyotes at Cuyamaca College.The Griffins ended their tough season finishing 3-7 at home and with a 6-22 overall record. Before they begin preparing for the 2019 season, the team gets to relish this victory first. 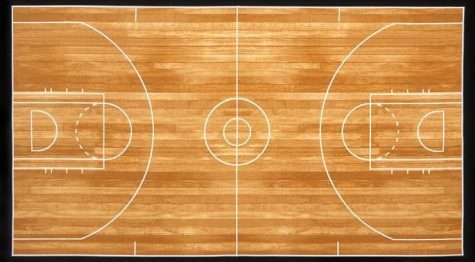 The win over Cuyamaca was especially meaningful considering the Coyotes defeated the Griffins on their home-court only a few weeks prior, escaping by the slim margin of 78-68. With that devastating loss still lingering fresh in their minds, Grossmont made it a point to start this re-match aggressive on offense while playing it smart and tight on defense. This formula proved to be a successful combination, as the only time the Griffins trailed was at 17:28 in the first half upon the Coyote’s initial three-point play. That’s all the Griffins needed to summon their sleeping giants, and it was completely G-House from there. 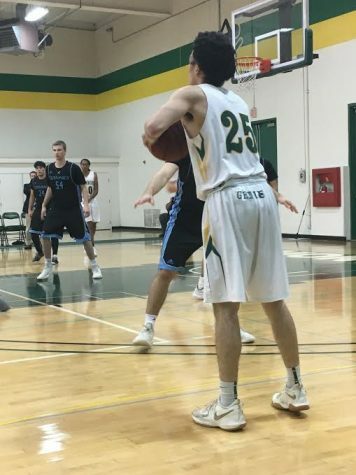 The unstoppable sophomore guard/forward Josh Peloquin delivered all season and did not fail to impress for the last game, putting the Griffins on the board with a huge three-point jump shot. Along with Peloquin, four out of the five starters were sophomores who will shed their Griffin green and move on to the next level. Weber admitted that recruiting can get difficult when a team’s record is less than stellar on paper. “If you win, it’s a little bit easier to get them out then if you lose, so it’s made it a little bit tougher for us to do that, but they’re all going to go on and play which I think is a neat deal,” the coach explained. 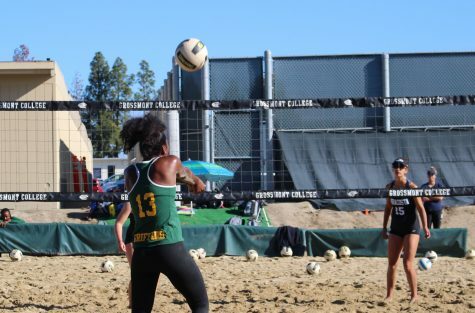 While their record may not be flawless, the Griffins certainly were poised for perfection during the final game, as the sound of Grossmont swishes flooded the Coyote’s gymnasium. G-House smothered the stat book, going an impressive six of six on three-point attempts and nailing 100 percent of their field goals, going for an astonishing 26 of 26. The first period ended much like it started with the Griffins’ quenching their thirst for revenge. Taking it to the house with authority and straight-up skill, freshman forward Jamal Johnson smashed an in-your-face dunk for the ages with two minutes left to play before the half. 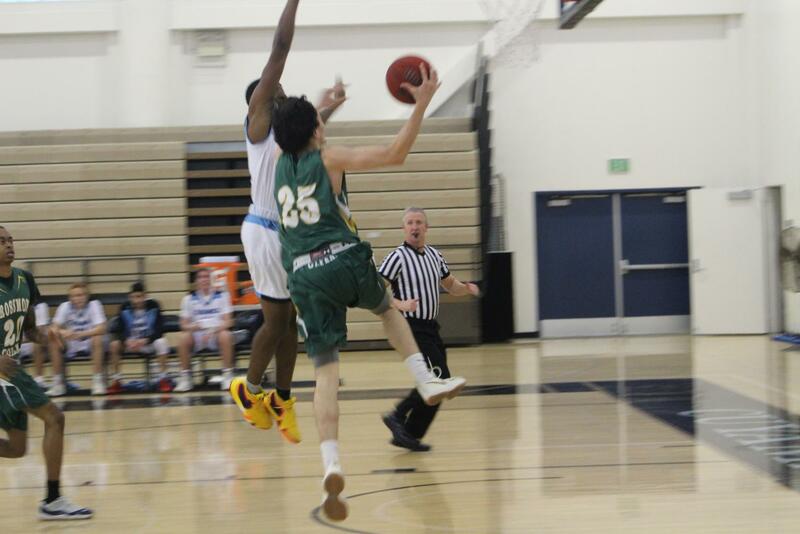 Grossmont was dominating with a score of 39-27. Weber remained optimistic and proud of the hard work exuded by the players. “When you look at Lamon and Jamal and that group, they’re all freshman and so they get to come back,” he explained. “Josh Burton, Josh Peloquin, Chris Moyer and Marc Cabrera are sophomores, and so it’s a little daunting because were going to lose four of our five and then freshman come back and recruit new guys to come in. “Lamon was a nice, solid freshman and he kind of led the pack here, getting First Team All Conference honors which is really nice, it’s really good,’ Weber continued. 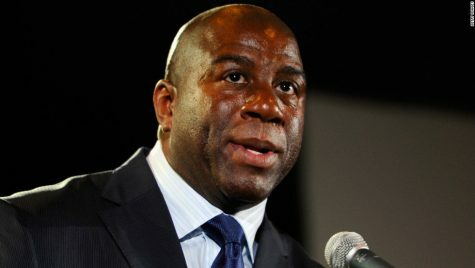 The coach certainly had reason to celebrate the success of his team as the final period of the Cuyamaca game demonstrated to conclude the Griffin’s season on a high-note. 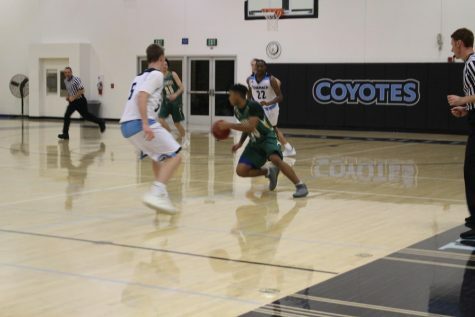 One can never count the Coyotes out as they attempted to mount a second-half comeback behind Cuyamaca freshman standout Ryan Flowers, gaining momentum and tightening up the score 45-39 with 14:25 remaining to play. The Griffins were not going to allow this rematch to slip from their clutches; remaining resilient, they overcame this brief switch and beat the Coyotes by a final score of 70-61. 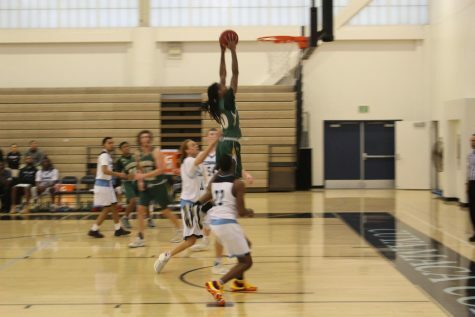 This victory and strong finish demonstrated Grossmont deserved the individual player honors, which it received for their 2018-2019 season. Freshman Lamon Hudson earned First Team All-Conference, and sophomores Josh Burton and Marc Cabrera earned Honorable Mention All-Conference. Grossmont is excited to support Weber along with returning players as well as newly recruited athletes in concluding their 2018-2019 season and welcoming a promising squad to hold down the G-House for the upcoming 2019-2020 schedule.